SAP-HR uses infotypes to store all relevant employee data required for administration purposes. It has a 4 digit-code and a related name. It stores similar data into one screen. For example, Personal Data (Infotype 0002) stores the employee’s personal data (i.e., first name, last name, birth date, marital status). Mandatory fields, which have a tick in the field. Optional fields, which are blank. 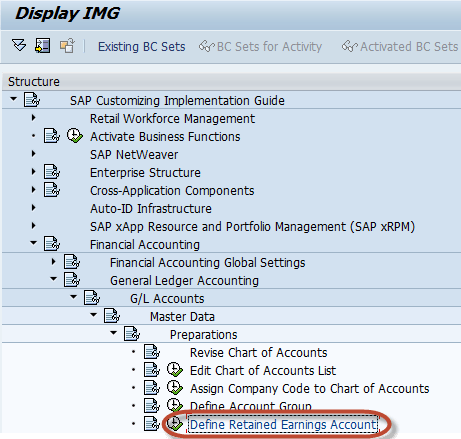 Authorization to access SAP HR Master Data can be defined at the infotype level. Therefore, SAP users can be given access only to the employees’ information relevant for their position, allowing appropriate level of security to be maintained for confidential personnel information. Some infotypes are divided in different groups linked to the same theme.These groups are called subtypes. “Permanent Residence” and “Emergency Address” are subtypes of the Infotype 0006 (Addresses). Infotypes are maintained according to specific validity dates : start and end dates. which allows to maintain an employee’s data history. When you update an employee’s data, the previous data is most likely automatically time-delimited. As a result, an employee can have many records for one infotype, withdifferent validity periods. Wrong score calculated for Sub-criteria: Price Level. Both effective price and market price are used to calculate the score for price level. The information comes from all the info records for this vendor and purchasing organization, and from the market price defined by you. If no market price is defined, the system calculates a market price. It uses the materials from all info records of the vendor who is being evaluated, and then looks for all other info records for each material. The effective prices are added together, and used in a formula to come up with a market price for each material. Then the effective price and the market price are used to determine a price level for that material. This is a percentage. The system checks customizing (table t147k) to determine a score for each record. After the scores are determined for each record, an average is calculated to determine the total score for the price level subcriteria. First the system reads all info records for the vendor and purchasing organization. Table EINA is read, and then table EINE for each record retrieved from EINA. An internal table of info record numbers results. The system takes an info record one at a time, and attempts to determine an effective price and a market price for each. First new pricing is run to determine the net price. If no price is found in the info record, the price will come from the last document(as long as the document date is within the applicability time defined in customizing, T147-STAGE). The effective price is calculated (EFFPR) for each info record, in the base unit of measure, using the standard order quantity from the info record as the simulation quantity (EINE-NORBM). Next the system checks for a market price for each info record. The system takes each info record one by one, for which no market price was determined. All info records existing for the material are retrieved. The effective price for each is determined. A formula is used to calculate a market price for each, using the effective price information. The individual market prices are added together, and the sum is assignedthe market price in the info record of your vendor. Therefore, pricing information for multiple vendors can be included in the determination of the market price for the vendor that you are currently evaluating. The result is an Effective Price (EFFPR) and a Market Price (EFFPM) for each info record of the vendor being evaluated. Customizing is checked, and a score is assigned for each info record. The scores are added together, and the total score for the subcriteria Price Level is determined for the vendor that you are evaluating. Wrong score calculated for Sub-criteria: Price Behavior. EFFPR, EFFPM, T147K, EINE, market price, effective price, ME61, S013, Vendor Evaluation, ELBK, ELBP, MEKH, EVAL_PRICEHISTORY_CRITERIA, ME_GET_PRICE_FOR_SUPPLIER. When calculating a vendor’s score for Price Behavior, the system calculates a percentage variance between the previous year and the current year’s market price.When no market price has been maintained, the system checks all materials for that vendor, and all info records for each material. The current and previous year’s effective price and market price of all info records for the vendor, are used to calculate a score for sub-criteria price behavior. First the information from the current year is retrieved, to be used in a comparison with the previous year’s effective and market price. The process for calculating the current year’s pricing information is described in note 806836 Calculation of score for Price Level. Next the pricing information from the previous year is retrieved. All info records for the vendor are retrieved from tables EINA and EINE. An effective price EFFPR is calculated for each info record for the previous year. Price determination is run for each with a pricing date of the last day of the previous year. If no condition record is found, the system checks the order price history(table EIPA) to find a document with a document date between the first and last day of the previous year. Next the system searches for a market price for each info record. If no market price has been maintained, all info records of each material for the vendor being evaluated will be used to calculate a market price. Pricing will be run for each, and an effective price will be determined for the pricing date of the last day of the previous year. If no condition record found, the order price history is used to find a document in the info record with a document date between the first and last day of the previous year. Then a formula is used to calculate a market price EFFPM for each info record of the vendor being evaluated. This results in an Effective Price (EFFPR) and a Market Price (EFFPM) for each info record of the vendor being evaluated. The current effective price and current market price together with the previous year’s effective price and market price, for each info record of the vendor being evaluated are used to determine a price comparison. A score is calculated for each info record of the vendor. After the scores are determined for each info record, an average is calculated in order to determine the vendor’s score for the sub-criteria price behavior(price history). ( last year’s effective price * market change ) / 100. Then the system checks customizing in table T147K to assign a score for the percentage. Each info record is assigned a score for price behavior. The total of all scores is divided by the number of info records for the vendor to calculate an overall score for the vendor in sub-criteria price behavior. Total contribution limit for 2 additional dependents: IDR 94,500. Even when there is more than one additional dependent, the total employee contribution limit for additional dependent remains 47,250. Apply the corresponding HR support package, or apply the correction instruction attached in this note, but only in an urgent situation. Indonesia government has announced a new Finance Minister regulation No 122 Year 2015 for PTKP (Non-Taxable Income) on June 29, 2015. The new PTKP rate is available via SAP Note 2193365. Maximum BPJS Health Insurance contribution base = 2 * (PTKP K/1 or PTKP for self + PTKP for Spouse + PTKP for Dependent Level 01) / 12. Therefore, after the application of the new PTKP rate in the system, the maximum BPJS Health Insurance contribution base will be adjusted automatically. The official regulation is not fully published yet by the BPJS Health Insurance Office. However, customers have received written emails from the BPJS Health Insurance Office recommending the use of the old PTKP rate for the BPJS Health Insurance contribution base until there is an official regulation published on this matter. With this SAP Note, the maximum EE/ER contribution amount calculated using the old PTKP Rate for BPJS health insurance will be stored in table V_T7ID13. The table entries will be delimited if there’s any change regarding the contribution limit in future. Apply the corresponding HR Support Package. Alternatively, apply the correction instruction along with the manual steps listed in attachment ‘Manual_Steps_Note2206618.docx’. Enter the P&L statement account type, to determine the retained earnings account for each P&L account.If you are creating a P&L account, you must make an entry here. You have successfully created a Retained Earnings Account.